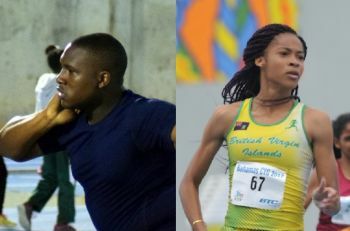 Djimon L. Gumbs and Beyonce A. DeFreitas have been named BVIAA Junior Male and Female Athletes of the Year 2017. Croal, the 2017 Elmore Stoutt High School Victor ended the year as the national top 200m leader in his U15 age division. His season highlight was his-strong performance among his peers in the Heptathlon at the North American, Central American and Caribbean (NACAC) Age Group Championships held in Trinidad and Tobago in June 2017. At the same NACAC Age Group Championships his teammate McMaster became the fourth (4th) VI athlete since 1997 to claim an individual Pentathlon division medal at the North American. McMaster claimed the U13 Girls Division Pentathlon bronze medal as the territory’s Age group team walked away with six medals overall as well as a team award. Gumbs was a double Flow Carifta Games silver medalist in the Discus Throw and Shot Put and became the territory’s first (1st) Commonwealth Youth Games medalist at the 6th edition of the Games with a Bronze in the Discus Throw. This national record holder remained a strong competitor throughout 2017. DeFreitas, the 2017 Golden South Classics cover girl and 3 time Carifta finalist earned silver at the Commonwealth Youth Games in the 200m sprint. At the the age of 15 she was one of the few athletes in the OECS to run under 24 seconds in the 200m. As the 200m national leader in her division, she has remained unbeaten in local competion since the age of 13. 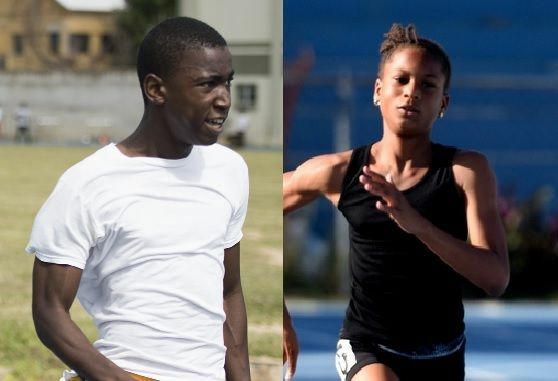 It was previously announced that the Senior VI Athletes of the Year 2017 are 400m hurdler Kyron A. McMaster and long jumper Chantel E. Malone. Congrats goes out to Beyonce,Djimon,Jaleel and Akeela a job well done. Always continue to do your very best. Be bless. Be brave. Be safe. Good luck in 2018 season.